London Mayor and newly-elected MP Boris Johnson says Islamic State (IS, formerly ISIS/ISIL) militants could sabotage the ancient Syrian city of Palmyra if the international community doesn't stop it destroying age-old artifacts. Johnson warned on Monday In his column in the Daily Telegraph that the radicalized "loonies" could take over Egypt within a few decades and destroy the pyramids there. The Pyramids of Giza are renowned internationally as one of the seven modern wonders of the world. "Presumably their ideology would demand the dynamiting of the Pyramids, Karnak, Luxor," Johnson wrote. 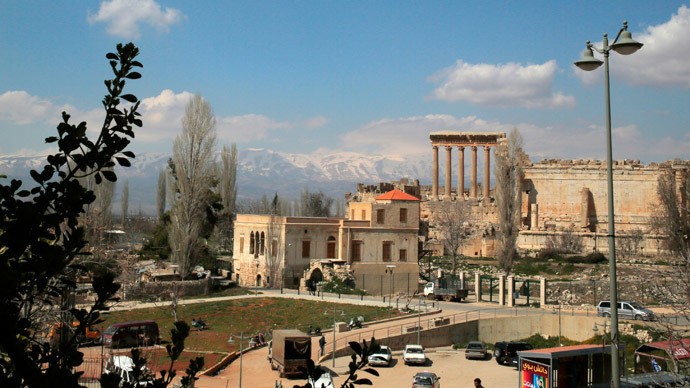 Last week, Islamic State fighters seized parts of the historic city of Palmyra in Syria. Palmyra, a UNESCO World Heritage site, was one of the most important cities of the ancient world. Johnson has now called for an international intervention to prevent the destruction of ancient Roman-era temples, sculptures, ruins and colonnades in Palmyra at the hands of the “monsters” of the IS. Since the terror group seized large swathes of Syria and Iraq, the group has destroyed ancient sights, including the Assyrian archaeological site Nimrud in Iraq, large parts of the ancient city of Aleppo as well as the Iraqi UNESCO World Heritage site Hatra, which dates back 2,000 years to the Seleucid Empire. “The maniacs of ISIL are so narcissistic and so generally up themselves that they cannot cope with the idea of a great culture that predates Islam,” Johnson said. Yet, he says there would be something “peculiarly catastrophic” about the loss of Palmyra. Johnson also warned that the destruction of Palmyra could have a detrimental effect on the Syrian economy and tourism industry. "If we don’t make a stand now, in the face of this barbarism, when will we stick up for our common human heritage," he said.